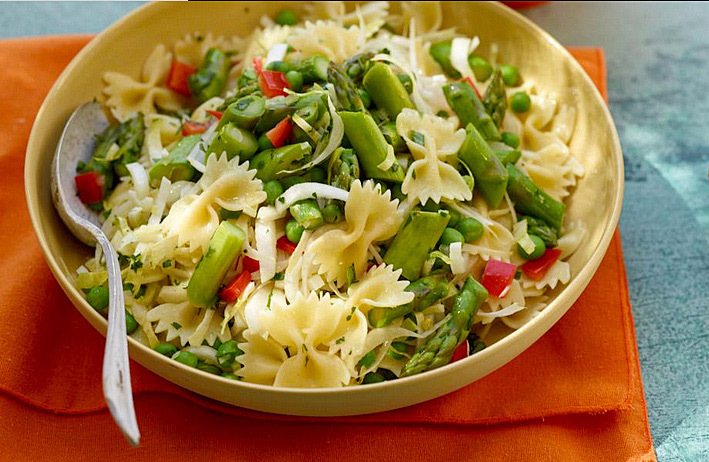 Our 2014 Chardonnay Viognier blend, NOTRE VUE 10D.45.34B, pairs perfectly with this refreshing asparagus pasta salad. The salad is full of deliciousness and great to eat anytime the weather warms up. It’s a cold pasta salad, which is good for pot lucks and BBQs! Enjoy!